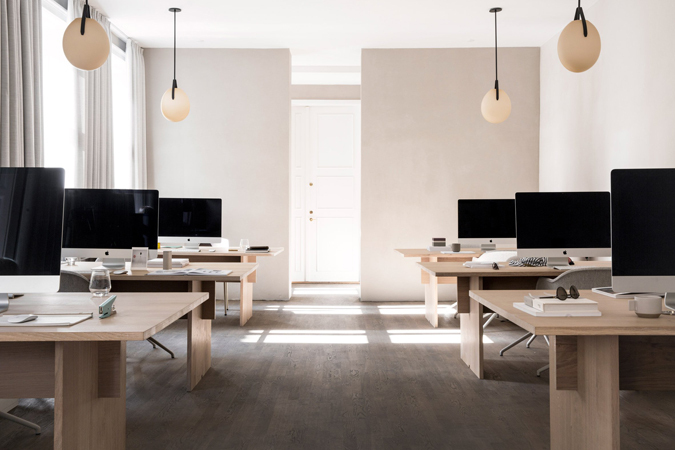 Danish studio Norm Architects has taken influences from both Scandinavian and Japanese design to create this pared-back gallery and workspace for Kinfolk magazine in central Copenhagen. 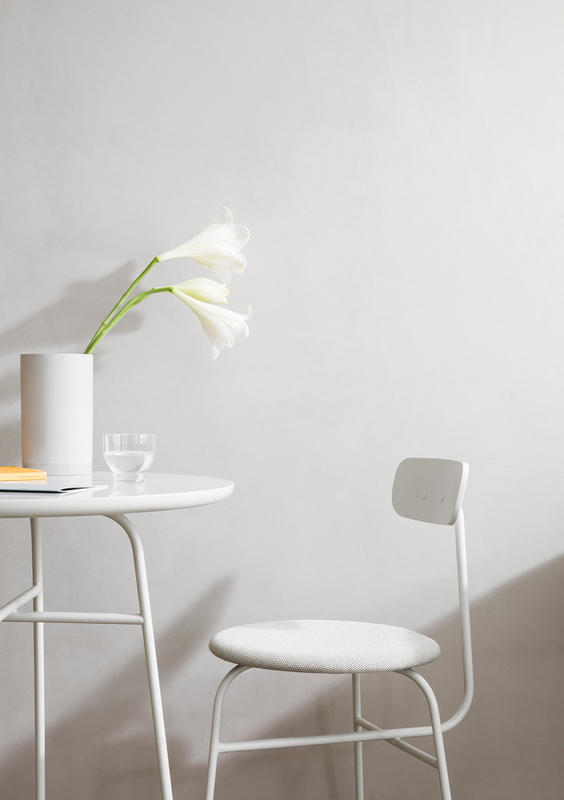 Norm Architects, founded in 2008 as a multidisciplinary design studio,works predominantly in design strategy, products, architecture, interiors, photography, graphics and art direction. 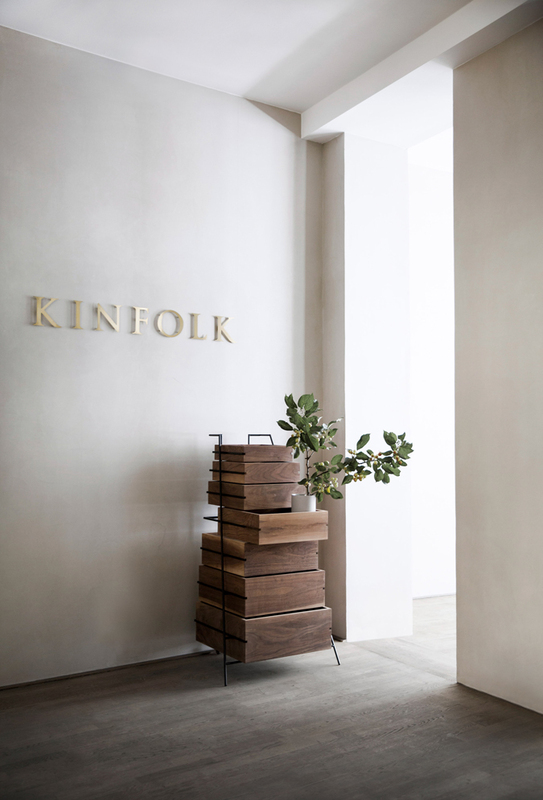 One of their most esteemed spaces is The Kinfolk Gallery, a collaborative space where friends and partners are able to share ideas and showcase their work. 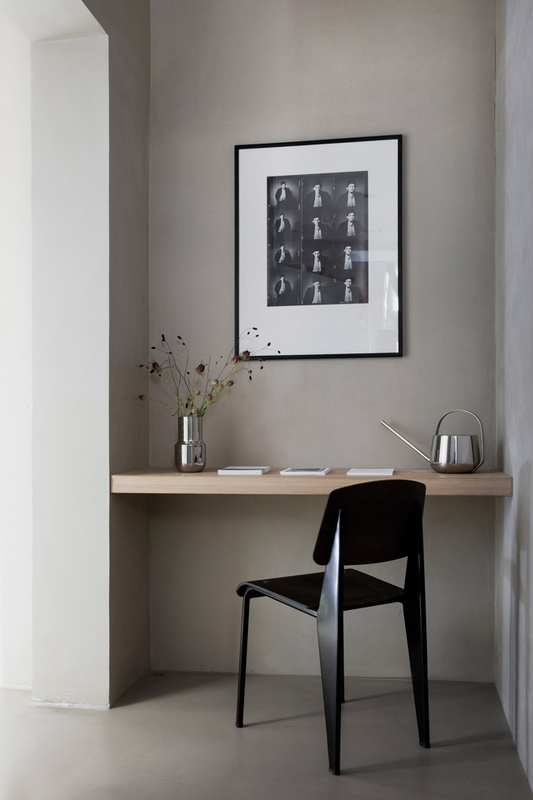 Foremost an office space, the gallery masters an informal, elegant and homely atmosphere. 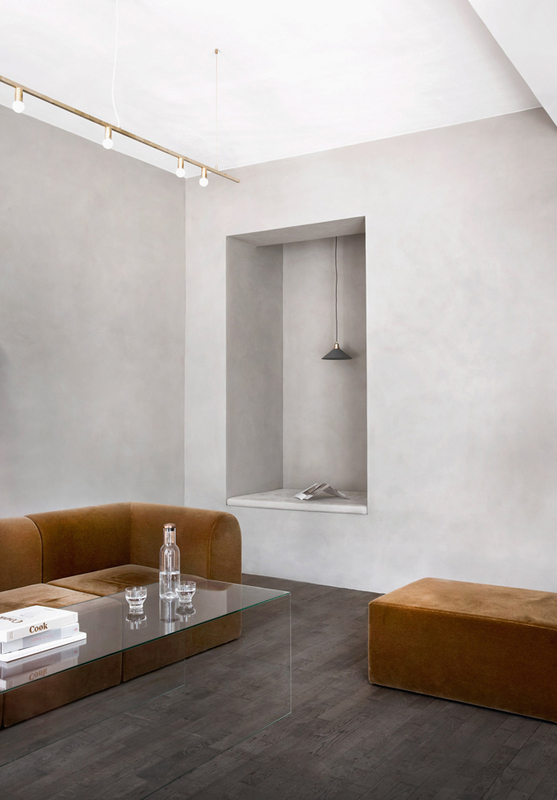 The interior architecture is minimalist, but thoughtful with attention to detail. 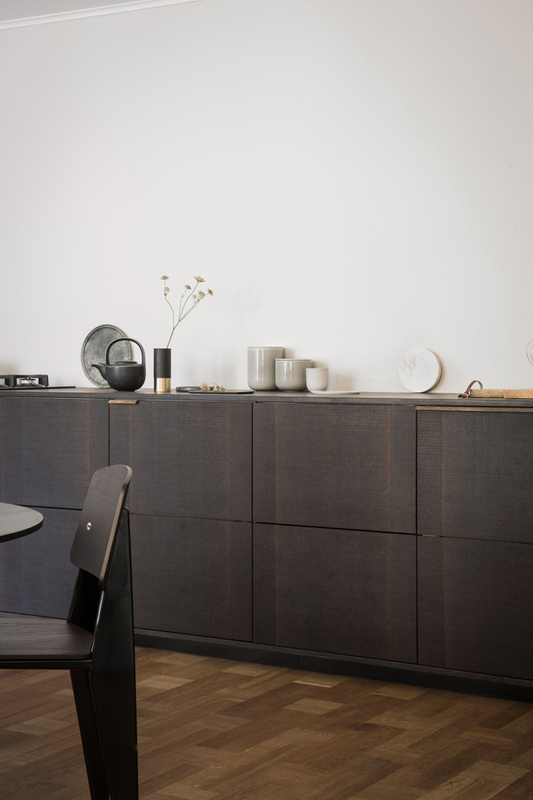 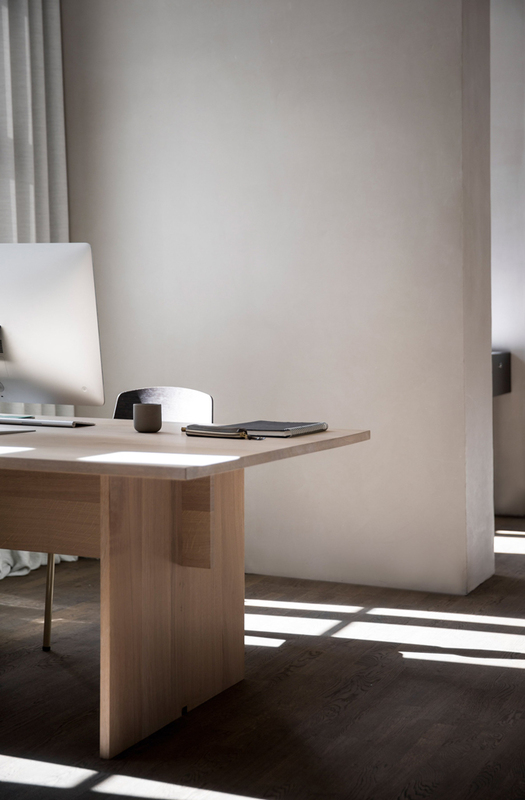 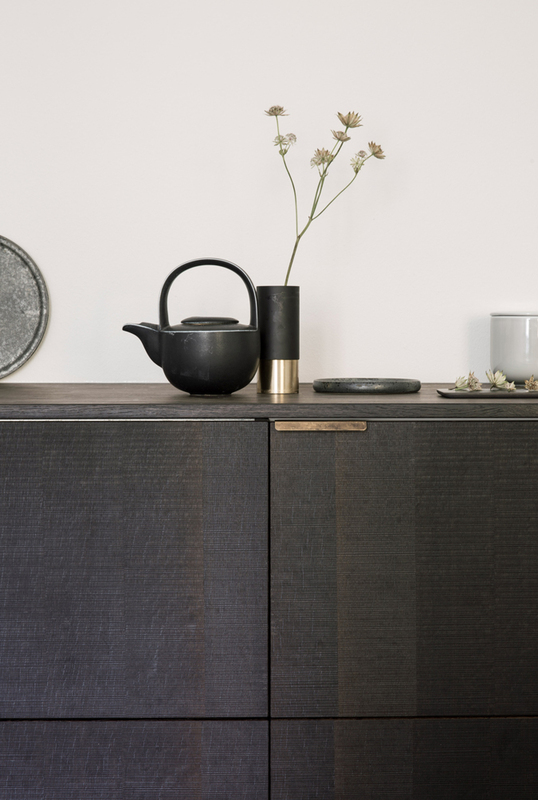 Every tone, nuance and material in the space has been carefully selected to create a harmonious, precise and natural feel; all well suited to the Kinfolk mode of slow living. 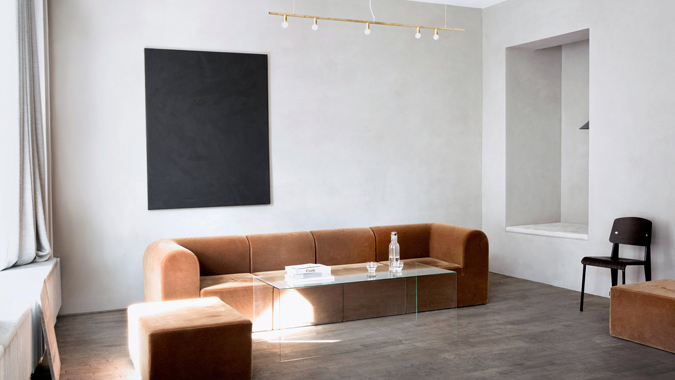 Spaces are furnished with off-the-peg pieces from design brands such as Menu, Vitra and Muuto, while a custom leather-upholstered bench below the front window provides a spot for impromptu meetings or people watching. 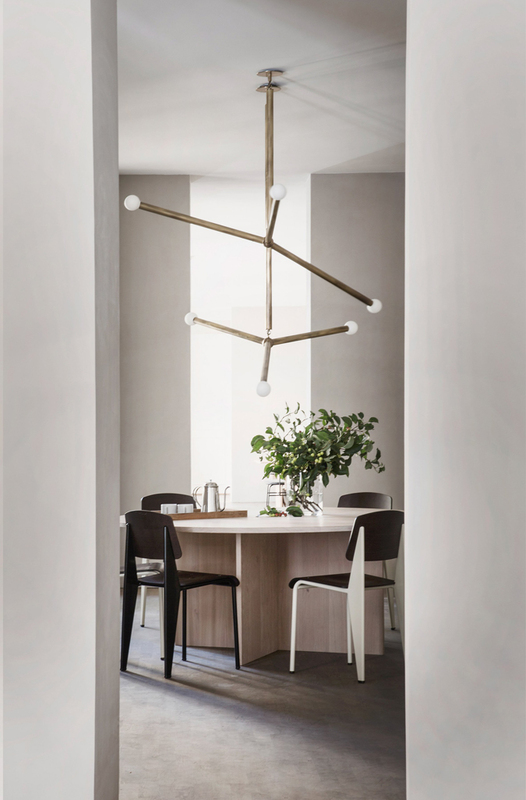 I simply love it.